He is the perfect killing machine. The apex weapon. The demolisher. Only he doesn’t know it! This October, a new legend is born in DEATHLOK #1 – the first explosive issue in an all-new ongoing series! Launching as part of the Avengers NOW! 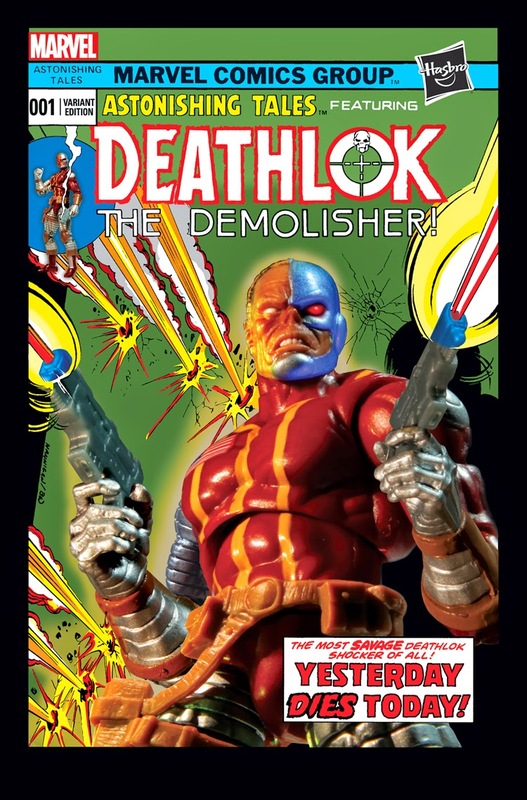 initiative, critically acclaimed creators Nathan Edmondson (Black Widow, The Punisher) and Mike Perkins (Captain America, Stephen King’s The Stand) provide a brand new spin on Deathlok like you’ve never seen him before! After Michael Collins – there was Henry Hayes. A war veteran, a single parent. A good man who though he’d left his war behind. As a field medic, he has traveled to war zones to heal the wounded, unaware of his true purpose. 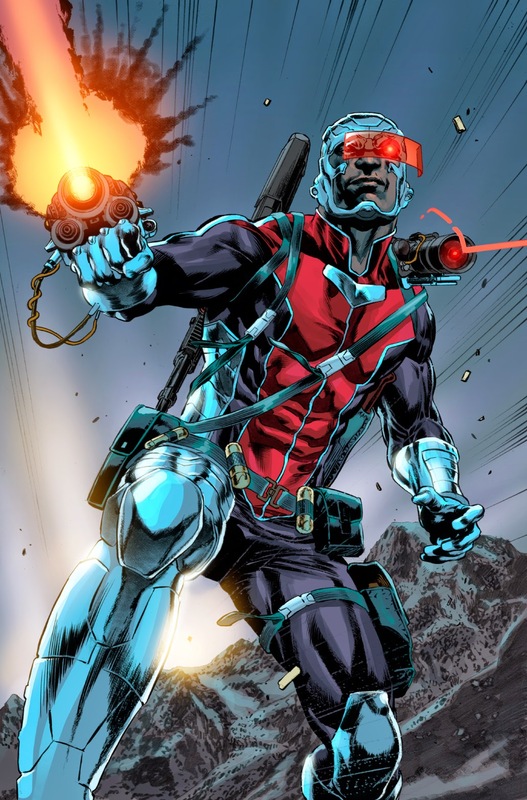 Unbeknownst to him, he has been transformed and twisted into a new weapon for a new war – DEATHLOK! Operative, fighter, assassin and more – he is whatever his mysterious handlers need him to be. Utilized as a deadly weapon rented out to the highest bidder, Hayes travels the globe toppling dictators and destabilizing regimes – his memories erased after each mission. All in the name of his mysterious corporate masters. Yet as he slowly uncovers the truth about his existence, he’ll struggle with the knowledge he’s been transformed into the ultimate weapon of mass destruction – and expose the disturbing legacy of the many Deathloks that came before him. Hunted by S.H.I.E.L.D. and unaware of his true purpose, the one man army will be forced to choose – is he man…or machine? The answer lies in the high-octane first issue as the next blockbuster Avengers NOW! series debuts this October in DEATHLOK #1! 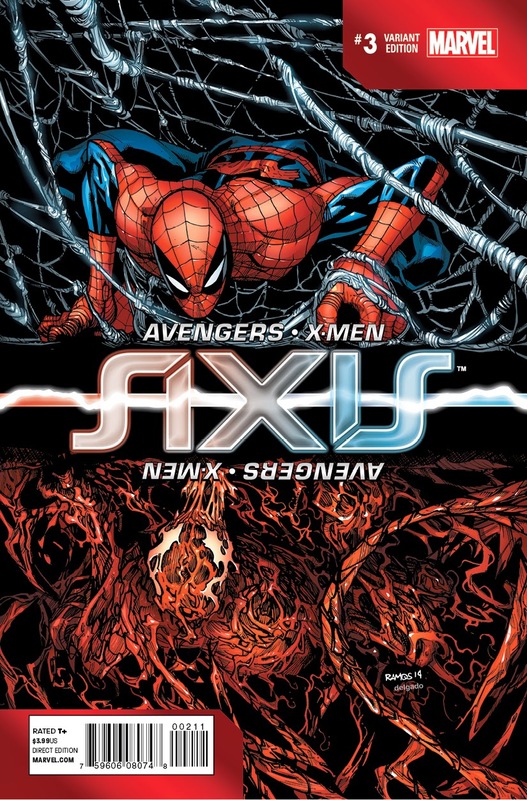 Heroes Fall & Villains Rise in AVENGERS & X-MEN: AXIS #3! Though they now stand united against a common foe, their fragile alliance is not enough to stem the darkness. Coupled with the powers of Charles Xavier, the Red Skull’s terror knows no bounds. Battered and broken, the few surviving heroes must put their faith in unlikely allies, and give rise to the most vile syndicate known to man. Can the Red Skull be defeated? And at what cost? Would you destroy the Red Skull if it meant losing the very last piece of Charles Xavier? As one of the last remaining heroes, the Scarlet Witch is forced to join forces with Dr. Doom – the man who twisted and abused her power to cause M-Day. If she can’t, she’ll have to watch those she loves most die. And a twist of fate will return one of the Marvel Universe’s greatest villains from beyond. The world as we know it is gone. The Inversion is here. 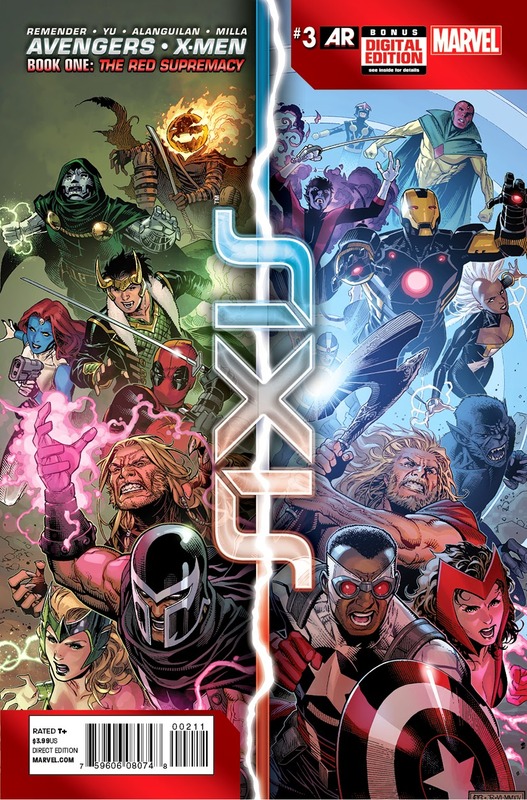 Don’t miss AVENGERS & X-MEN: AXIS #3 on sale in October! When the Monroe Comic con was founded last year, it was a tiny show in a small room, this year the show is expanding exponentially. In it’s first year the show had no real celebrities, other than local actors and athletes, this year the show will take place in a much larger venue and include a larger slate of celebrities from both the comic book world and television and movies. The 1-day show will be open from 9 a.m. to 7 p.m. Oct. 4. Entry into the show is just $2, and some of the proceeds will go for the The Down Syndrome Guild of Southeastern Michigan. 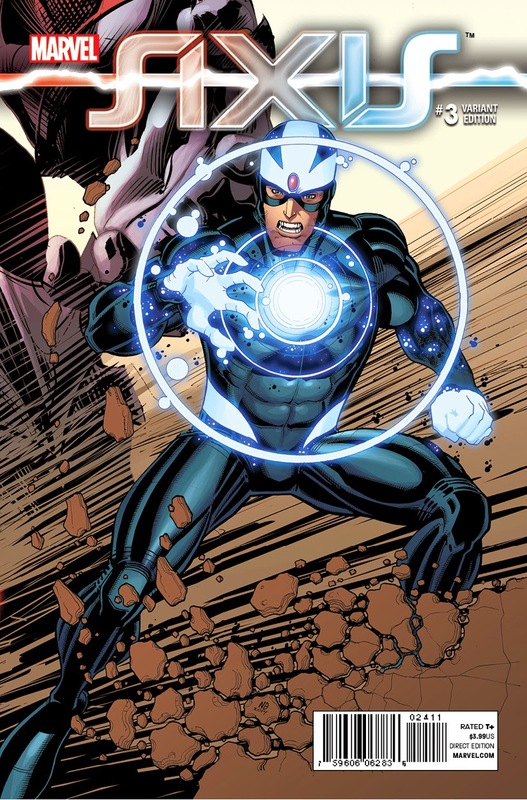 Some of the bigger names slated to appear this year include comic book industry legends, Arvell Jones, best known for his work at both Marvel and DC Comics in the 1970s and 80s; Joe Corroney, an artist on titles such as “Dr. Who,” “Star Wars,” “Star Trek,” “G.I Joe,” “True Blood,” and others; Tony Gray, owner of independent comic company GlassMonkey Studios. Movie and TV actors slated to appear include “Farscape” star Gigi Edgley, who also hosted the reality show “Jim Henson’s Creature Shop,” who is the biggest name at the show. She will be joined by model and TV personality “Alloy” Ash, and “Oz the Great and Powerful” actors Martin Klebda and Tim Holmes. 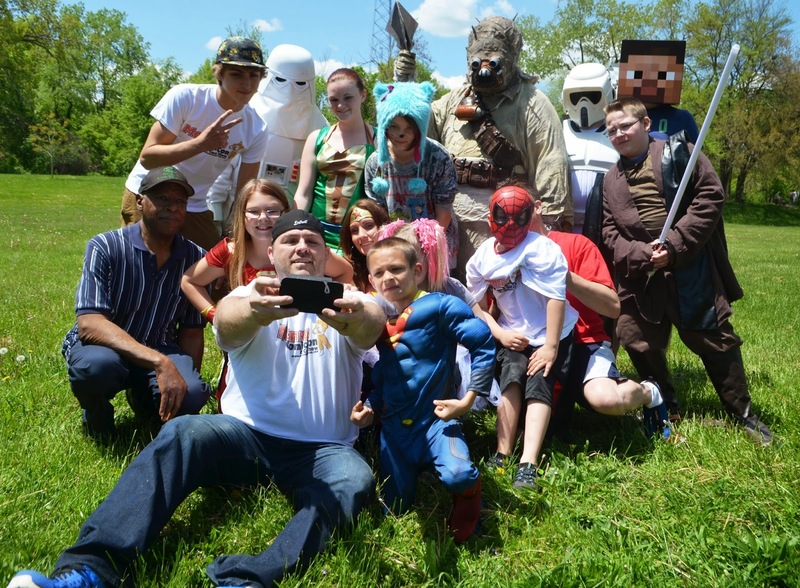 It’s more than just comics and celebrities though, the show will also have a costume contest, several panels on things such as the Nain Rouge, getting into the entertainment industry, a hypnosis show and much more. Downriver actors Ron Baratono (Melvindale) and Ron Causey (Allen Park) are slated to be among the celebrity guests, Wyandotte artist Tony Miello will be on hand and Allen Park resident Tony Wagonsomer is expected in costume as a Clone Trooper from the Star Wars universe along with other members of the costume group, the 501st Legion. More than a dozen other artists and actors will also be at the show. Baratono recently completed a small role in the upcoming “Batman v Superman: Dawn of Justice,” which has been filming in Detroit and River Rouge over the last few months. In addition to that he has a larger role in the upcoming “Past Due,” which stars Eric Roberts. In addition Baratono has played roles in such films as George Clooney's “Ides Of March” (2011), Mitch Albom's “Have a Little Faith” (2011) and played the boxing trainer on ABC’s television show “Detroit 187” (2011). He is also known for featured roles in “The Last Man Standing” (2011), “Smooch” (2011) and “Oz the Great and Powerful” (2013). In addition to acting Baratono has become a poet, with his work published both online and in books. This year’s show will be hosted at the Monroe Knight’s of Columbus Hall, 202 W. Front Street. Harry Potter fans will have the chance to climb aboard the most famous train in the magical world when the Flat Rock Model Train Depot and Museum opens to the public this weekend. The museum will open for the season from 1 to 4 p.m. Sept. 27. With that opening, train enthusiasts will be able to see a scene right out of the books and movies as the Hogwart’s Express rolls through Diagon Alley, the very place where a young Harry Potter buys all of his magical supplies before heading off to school each year. Over the years, Leon Simeck and his wife, Pat, have visited train layouts across the country to find new ideas for their display. The museum’s main display features American Flyer and Lionel trains winding past towns, a carnival, zoo, circus, farms, bridge, tunnels and mountains, among other attractions. Many of the attractions are designed to look like local attractions from around the region, while others just make for interesting scenes to drive a train past. In addition to model train displays, the depot, 28700 Arsenal Road, features dioramas that run below the trains that depict important pieces of train history, and a few other scenes from history. The train depot also has its Halloween display set up. Lights and sounds add special effects to the display, which will be up through the end of October. Leon Simeck said members will be putting up their Christmas items at the beginning of November. In addition to Saturday, the Halloween and Harry Potter displays will be featured from 1 to 4 p.m. Oct. 5, 11, 19, 25 and 26. Christmas at the Depot will run from 1 to 4 p.m. Nov. 1, 8, 16, 22 and 29, as well as Dec. 6, 13, 20, 21, 26, 27 and Jan. 3. Were it not for the Simecks efforts more than seven years ago, the museum never would have existed, and the building would have been torn down. Located inside an abandoned youth center in the city, only another nonprofit organization could have taken over the building. Pat Simeck said the building was about to be demolished when they started the museum, which gave residents a place to celebrate railroad history, and saved the building. Now, as funds allow, the building will be expanded, with plans to bring in larger pieces of rail history once the space allows for it. Admission is $6 for adults, $5 for senior citizens and students and free for children 10 and younger. Call 734-782-2786 for more information. Contact Video Coordinator Dave Herndon at 734-246-0867 or dherndon@heritage.com. Follow him on Facebook and @NHDaveH on Twitter. A delivery company reported $7,700 in prescription drugs stolen from a warehouse in Taylor. A representative of Prestige Delivery Systems told police a delivery of prescription drugs was dropped off at the company’s warehouse in the 25000 block of North Line Commerce Drive Aug. 30. The drugs were to be delivered to a Kroger store on Aug. 1. Surveillance video showed two people entered through an unlocked bay door and immediately cut the power from a switch that was not near the point of entry. Police said that from the video, it appeared that one of the thieves was a thin black man wearing a Star Wars storm trooper mask. The only description they could give of the other burglar is that he or she was possibly wearing dark clothes and a winter mask. The warehouse is in the area of North Line Road and Beech-Daly Road. Police did not have information on what type of prescription drugs were stolen. Kroger set the value of the stolen drugs at about $7,700. Mandalynn Carlson got a foothold in acting when the film industry was booming in Michigan, and she’s continued to make a name for herself in the City of Angels. The 15-year-old Taylor native has an impressive list of projects to her credit, and work isn’t slowing down for the fresh-faced teen, who’s lived in Los Angeles for the past three years. Now living in Los Angeles, she and her mother, Sherri, recently returned to Taylor for about a month to visit family and take care of the house they still own in the city. Mandalynn’s TV credits include appearances on “CSI: New York” and the ABC drama “Scandal” in which she played the daughter of Lisa Eddleston (“House”) and had a major scene with the show’s star, Kerry Washington. “‘Scandal’ was awesome and probably my favorite TV show that I’ve done,” she said. “Kerry was so nice. Seeing her go into her character before we started filming was astonishing. Mandalynn even had her own hashtag — #hamandpineapple — created from the episode. On the big screen, she’s appeared in “Machine Gun Preacher,” with Gerard Butler, and two films with Dean Cain — “Holiday Miracle,” which is due out on DVD during the 2014 holiday season, and “A Horse for Summer,” which also stars Christopher Atkins and will be released in Walmart stores in December. A starring turn came in the thriller “The Dead Kid,” a film based on a short story by Gillian King. Set during the 1980 child murders in Atlanta, the movie tells the haunting tale of the torment of a young boy and his subsequent disappearance, as witnessed by a young girl, Annie Baxter (Mandalynn’s role). The project holds a special place in Mandalynn’s heart as it deals with bullying, a problem she’s faced firsthand. The teen actress’ hazel eyes flash as she smoothes her auburn hair from her face, talking earnestly about her craft and what separates her from many of the “Disney” teen actors of today. Rather than being bubbly and bouncy, Mandalynn takes a more mature approach to the craft. She cites Sandra Bullock as her acting inspiration and admires Mark Wahlberg for his directing and producing success. Growing up in Taylor, Mandalynn was a performer from a young age, making up commercials and putting on “one-girl” plays for her parents on a basement stage at their house. She began acting at age 2 and working in the craft professionally at 10 when she landed her first supporting role in a major feature film in 2011’s “Machine Gun Preacher,” starring Gerard Butler. “When I landed that I thought, ‘Hey, I could do this for the rest of my life,’” she said. An only child, Mandalynn was named by her father, Eric, a chef who named her after one of his favorite cooking instruments, a mandolin. Her parents owned a film catering company. Being on set with them and meeting actors felt natural to Mandalynn at an early age. The actress credits Nancy Criss of Nandar Entertainment with much of her success. “She brought me into a movie with Dean Cain … and when she did her next project, she invited me to come on,” she said. The director/producer also helped the budding actress learn another aspect of the entertainment business. One of those is a recurring guest role on “The Sparrows,” an hourlong family drama slated for Fox affiliate stations in October; the other is a series lead in a half-hour family comedy called “Fishes ‘n Loaves” now in development. While age-appropriate parts for teen actresses might be difficult to come by, Criss is doing her part to make that easier. “Her goal is to make family friendly content — movies as well as television shows,” Sherri Carlson said. And finding suitable roles isn’t the only trial of being a young actress. “There are less younger people trying to make it, but also the problem of getting people to take you seriously, especially when you’re trying to do drama,” she said. 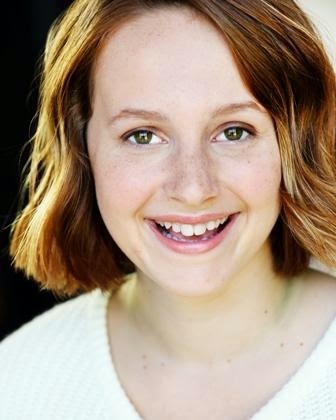 After a two-month search for a young star, she was cast as the series lead alongside co-star Ellie Kemper (“Bridesmaids,” “The Office”) in an NBC comedy called “Brenda Forever.” Ultimately the network decided not to pick up the pilot. That kind of disappointment is something that you have to get used to in the business, she said. “You really have to understand that there’s a lot of rejection,” she said. “You need a strong support system and can’t take it personally. A lot of times it comes down to things like who’s older or who matches the father better. “If you love it, you love it, though. Don’t give up. I was out there for a year just training before I even auditioned because I wanted to make sure to be the best of the best. Mandalynn is homeschooled, which frees up her schedule for auditions, and she’s already starting college. Her parents help keep her grounded and grateful for her success. As her career grows, Mandalynn hopes to focus on films with deeper meanings that leave lasting impressions on viewers. “If I could be choosy, I’d like to do movies that leave you thinking about them after dinner or if you’re on a date afterwards you want to talk about what you saw,” she said. One of her favorite recent films, “The Way Back,” is an example of that. Her film “A Horse for Summer” also earned the audience choice award at the 2014 Gwinnett Center International Film Festival. Aside from film and TV work, she has done stand-up comedy five times at the famous Hollywood Improv and hosts a teen Internet radio show called “Beyond the Spotlight” with her co-host Sam Lant. When she’s not behind the mic or in front of a camera, her interests range from reading and hiking to geocaching and putting together puzzles. But acting is where her true passion lies, and that’s evident as she talks about her lofty aspirations. “Ultimately, I want to win an Oscar … and then win another and another until I die,” she said. Visit mandalynncarlson.com to keep up with her career. Written by Andrea Blum for TheNewsHerald.com. Reprinted with permission. Wanderlust Productions, the independent film studio behind the hit “God adventure” trilogy FINGER OF GOD, FURIOUS LOVE and FATHER OF LIGHTS, is challenging Hollywood’s established business model with the debut of its Kickstarter-funded, faith film for Millennials, HOLY GHOST. This Saturday – September 6th – Wanderlust Productions is presenting the HOLY GHOST World Premiere Experience, a live, one-time digital event where anyone in the world can see the film and the event free of charge. The HOLY GHOST team is pleased to announce that Brian “Head” Welch, lead guitarist of the world-renowned heavy metal band Korn, will be introducing HOLY GHOST from the Redding Civic Auditorium in Redding, CA. Welch will also make a rare, solo musical appearance during the event, joining Christian band Jake Hamilton & The Sound for a live performance. HOLY GHOST was crowd-funded by 2,500 investors who surged to support Director Darren Wilson’s Kickstarter campaign, raising a record-breaking $360,000 in just 45 days to become the #1 most-funded, faith-based film—and the #2 most-funded documentary—in Kickstarter history. Wanderlust Productions is now crowd-promoting and crowd-marketing this film by mobilizing 25,000 of its most deeply dedicated fans through the #HolyGhostExperience campaign. Director Darren Wilson shot HOLY GHOST with no script, no plan, and a single goal—to capture real-life evidence of God’s presence on Earth. As a result, HOLY GHOST is appealing and fresh from start to finish, documenting actual instances of divine healing, miracles and seemingly impossible events in improbable places. Filmed in Salt Lake City, Utah, in Monte Carlo, Monaco, at a Korn concert in Iowa, and in Varanasi, India, HOLY GHOST moves seamlessly at breakneck pace from edgy street ministry to life-threatening encounters to interviews with acclaimed Christian artists like Michael W. Smith and noted recording artists like Lenny Kravitz—keeping the audience engaged without missing a beat.